Natural World Heritage sites face many challenges that threaten their existence. They represent a global heritage recognized as being of outstanding universal value, unique and irreplaceable. As the rate of global development accelerates, these outstanding sites become ever more valuable to society, providing refuges for highly endangered species and safeguarding the world’s most precious natural treasures. Since 2006, the Rapid Response Facility (RRF) has been providing emergency support to natural World Heritage sites in developing countries at times of crisis. With the target of deciding on application in eight days only, the RRF ensures that resources get to where they are needed in time to avert the most devastating damages to these unique sites. The Rapid Response Facility (RRF) provides emergency support to natural World Heritage sites – sites of ‘Outstanding Universal Value’ – in developing countries. Launched in 2006, the RRF is a partnership between Fauna & Flora International (FFI) and the UNESCO World Heritage Centre, with past and present donor support provided by the United Nations Foundation and the Fondation Franz Weber. Uncontrolled and unregulated fast-paced development projects such as illegal road construction and dam prospecting within outstanding natural habitats. The most acute challenges are often extremely time sensitive and require an immediate response. To meet such situations, the RRF is a grant-making facility offering rapid support where there is a clear argument for immediate action to avoid or mitigate significant negative impact to high conservation value sites facing an acute threat to their biodiversity. The RRF provides individual grants of up to US$30,000 and makes funding decisions within a target of 8 days, making it the world’s fastest conservation funding body. Response to time sensitive opportunities that will significantly strengthen the biodiversity status of a threatened natural World Heritage property. Is submitted by a reputable organization, with the appropriate capacity to deliver against the project objectives. Targeted support for a lasting legacy. By focusing on World Heritage sites, the RRF prioritizes support for natural heritage sites of outstanding universal value that are the planet’s lasting legacy for future generations. Over its 12 years of existence, the RRF has provided over US$1,000,000 of emergency support to 34 World Heritage properties and 8 sites inscribed on Tentative Lists in 26 States Parties, contributing to the protection of over 25 million hectares of the world’s most valuable natural heritage. Irreplaceable populations of at least 141 flagship species at these sites, including some of the world’s most threatened and iconic species (e.g. tiger, African elephant, mountain gorilla, giant panda, hammerhead shark, whale shark) have benefitted, along with the thousands of other species that make up these precious ecosystems. The Fondation Franz Weber is currently funding RRF. An estimated overall extra-budgetary funding of USD 180 000 for 3 years is needed to strengthen the mechanism. These funds will cover 2 to 3 grants allocations per year, monitoring RRF conservation impact (including travel costs at one beneficiary site every 2 years), communication (design and printing of the appropriate information material), production of an annual report, translation of RRF requests (as they can be submitted in English, French or Spanish) as well as running costs. 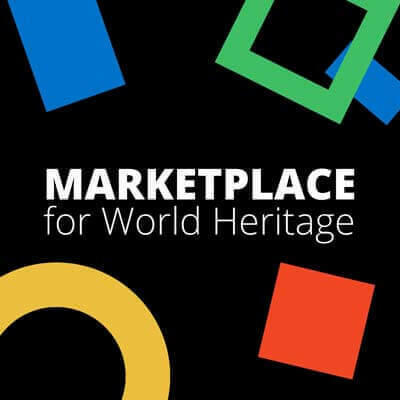 A Project Coordination Group (PCG) formed by the UNESCO World Heritage Centre, FFI and Fondation Franz Weber draw on the strengths and technical capacities of each organization to provide rapid funding decisions to sites in need. FFI has the lead in managing applications, liaising with applicants, arranging small grant contracts and fund transfers for approved grants and communicating news about the RRF. The RRF provides an ideal mechanism to commit to saving some of the best-known and iconic sites worldwide by an immediate and cost-effective. Monitoring and evaluation – ensuring timely reporting on both activities and conservation impact, to ensure that investors can see the conservation return for their inputs. Strong partnership to guide an effective grant-giving model. The Fondation Franz Weber is currently funding RRF. An estimated overall extra-budgetary funding of US$ 180,000 for 3 years is needed to strengthen the mechanism.